Commission President Jean-Claude Juncker will next week deliver a speech at an exhibition commemorating the 200th anniversary of the birth of Karl Marx. The gesture is likely to provide some ammunition to lovers of controversy. 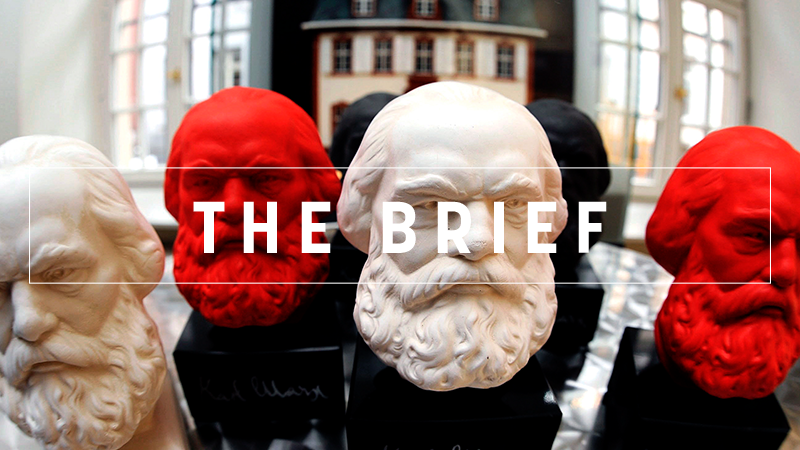 The German city of Trier, Marx’s birthplace, will celebrate the 200th anniversary of his birth on 5 May with a series of events, including the unveiling of a 5.5 metre-tall statue, a present from the People’s Republic of China. The monument has fuelled controversy in the Trier community and in the wider German context in recent months. Overall, glorifying Karl Marx is a controversial thing, especially in countries that have lived under communism. Germany is a special case, being the home country of Marx, and having been divided during the Cold War until the fall of the Berlin Wall. Sentiments in countries that have lived under communism are more exacerbated. On the one hand, the victims of communism and their families react strongly to everything that may suggest the rehabilitation of the totalitarian ideology. On the other hand, nostalgia for communism still exists, mostly in the form of longing for the social and job security of the period. In addition, many consider that Marx’ political ideas are not to blame and should not be confused with the revolutionary excesses under Lenin or the horrendous crimes of Stalinism. Juncker’s spokesperson Mina Andreeva was perfectly prepared to answer EURACTIV’s question about Juncker’s city trip to Trier, with a smile as a bonus. She recalled that Juncker was also an honorary citizen (since 2003) of Trier, a city only an hour drive away from his native Luxembourg. As an honorary citizen, Juncker was invited by Malu Dreyer, the minister-president of Rhineland-Palatinate, to attend the opening of the Karl Marx exhibition. Maria Luise Anna “Malu” Dreyer is the SPD deputy leader. Andreeva said that Juncker is “very well aware of the historical facts and sensitivity” and added that “whatever peoples’ views on Karl Marx are, nobody can deny that Karl Marx is a figure who shaped history in one way of the other”. “Not speaking about him would come close to denying history. It is in this sense that President Juncker accepted the invitation and speak at the opening ceremony along with the Minister-president of Rhineland-Palatinate,” she added. It is precisely Juncker’s political family, the European Peoples’ Party, that has been eager to equate Nazism with Communism and sought to institutionalise a condemnation of both totalitarian ideologies. However, in many Western countries, including Germany and especially in Italy, streets with Karl Marx’s name are still commonplace. Obviously the equation of Nazism with communism has failed. With a little help from Juncker, Karl Marx has won. North and South Korea pledged to formally end the state of war that has existed between the two nations and denuclearise the peninsula. Now, the EU should support the emerging growths of peace, writes Dr Ramon Pacheco Pardo. EU countries voted to ban neonicotinoids, substances which threaten bees and pollinators. Health Commissioner Vytenis Andriukaitis insists the case shows that the Commission is “consistent” with scientific consensus. Renewable energy could make hydrogen cheaper than gas, according to a new study. Serbia hopes to get more of its power from the wind and start tapping into the immense potential of solar. Check out the latest Tweets of the Week here. A new Commission proposal would compel online platforms like Amazon and Google to reveal search results criteria. Albania’s foreign minister acknowledged EU concerns about further enlargement but insisted that starting accession negotiations would help his country anchor itself within the bloc. Bulgaria has a “secret” plan to join the eurozone. Romania’s president has denounced the country’s prime minister as “unfit” for office and called on her to resign. Although she is not compelled to do so it could trigger a political crisis. The Commission is keeping the pressure on Turkey to release two detained Greek soldiers and will try to tie EU funding to respect for the rule of law. Plans to overhaul VAT rules have been accused of being unconstitutional and the European Central Bank admitted a “loss of momentum” in the euro area growth. Oh no, here we go again… ABBA will reunite! Here’s some music to get your weekend started. The Bonn Climate Change Conference kicks off next week and then the European Commission unveils its proposal for the post-2020 financial framework.